This essay is marvelous. I know I often feel the same way as do many of my writerly friends. “Really? !” I mutter to myself, “Norton (or Knopf, or FSG, or Copper Canyon, or…) sees fit to publish this sentimental mediocrity? !” This little conversation with myself not infrequently happens when I get to the bottom of whatever poem I’ve been reading on Verse Daily or Poetry Daily in The New Yorker. I recognize that it is not useful. I even recognize that I might be wrong about the poem/poet in question and that taste in art is profoundly variable. But I have the conversation anyway, often, and gut-wrenchingly, because, of course, the rest of the text has to do with how many years (and contest fees) it’s taking me to find a publisher for my second book, and how many years it took to find a publisher for the first one, and how lousy my acceptance rate is with journals. Soft drinks provided. Alcohol up to you. 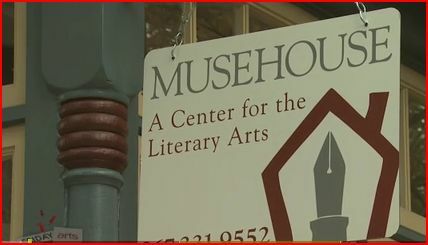 Musehouse, the new writing/literary center in Philadelphia, is being featured this month on WHYY (public television) Friday Arts show. In it director Kathleen Bonanno talks about why she started the center and importance of writing in the community. She shares some of her poems from Slamming Open the Door. 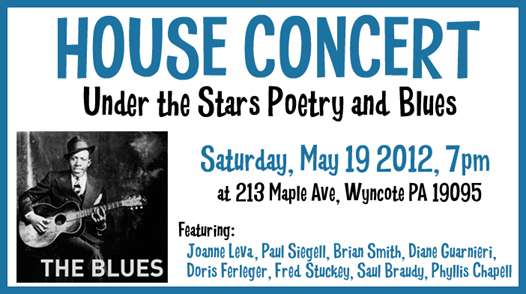 You’ll also see cameos from Leonard Gontarek, David Bananno, Amy Small-McKinney and Joanne Leva. By the way, I teach a class in poetry writing at Musehouse. You can check it out and sign up here. You can watch the Friday Arts program on TV or check out the video here.